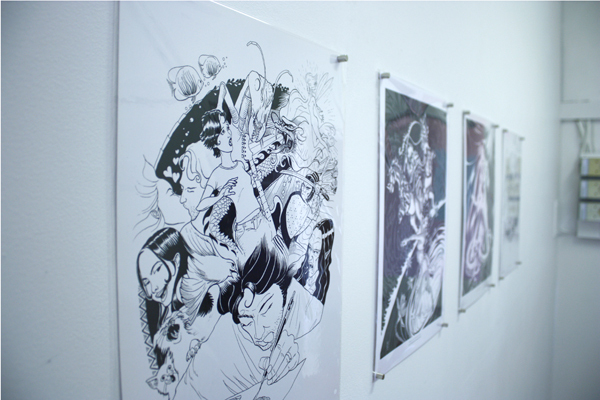 FK chats to Terrarium Gallery‘s Mia about their gallery space in Wollongong, NSW. 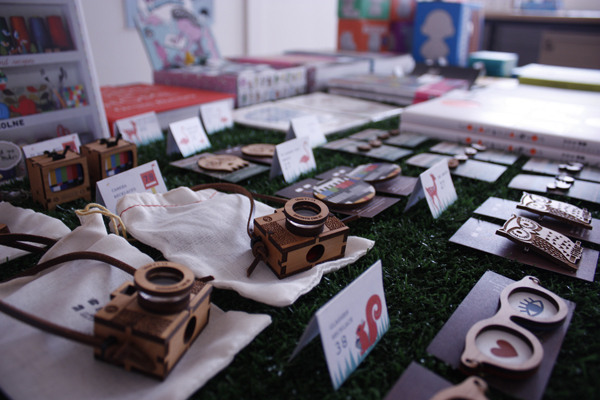 Tell us about Terrarium Gallery and what things we can expect to discover in your space. 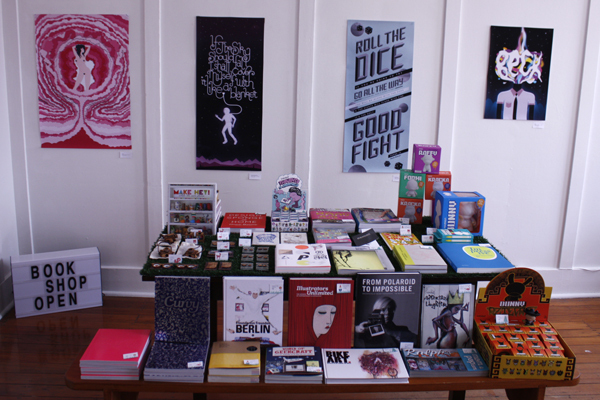 If you were to come on up to our gallery this week you would find an incredible range of illustration and poster designs by the talented folk from Zookraft Design + Illustration from Newcastle. We also stock an ongoing and eclectic mix of original and digital prints from Australian and international artists and designers. What was the inspiration with opening Terrarium Gallery? 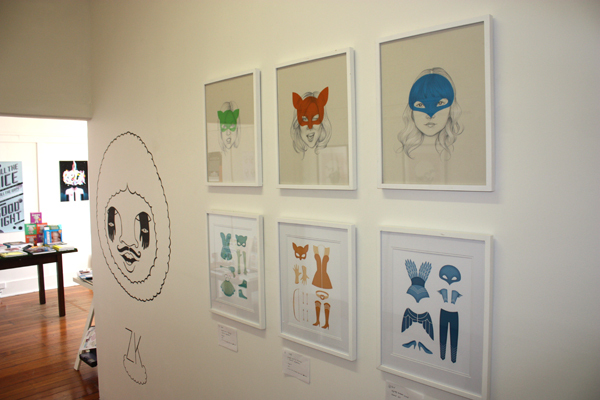 There are some great wonderful galleries in the Wollongong area, but we felt that design was yet to be represented. There is street art, paintings and photography but our passions encompass graphics, illustration, analog photography and typography. 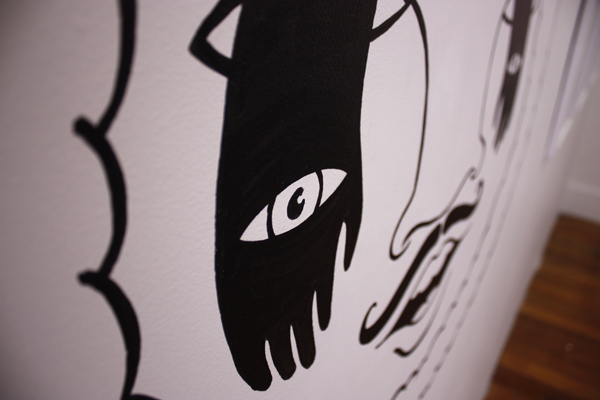 We also wanted to bring a broader range of artist’s work into the space for the community to experience. Can you tell us about the building and the space Terrarium Gallery occupies? 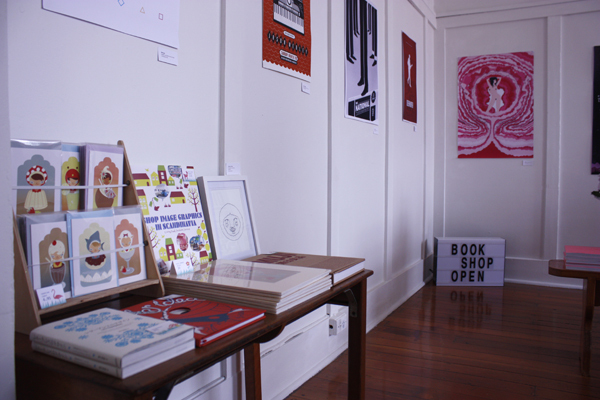 Its an old, quirky building off the main street in Wollongong, its mostly office and studio spaces with a few great shops tucked away, we’re on Level 1 of the arcade in a light filled space, a little hard to find, which we kinda like… there’s nothing like stumbling upon a hidden gem whilst your out and about shopping. What labels do you stock in your shop and what are you always looking for? Currently we stock the Sydney based jewellery label bRainbow, we especially love their super 8 video camera necklaces! We have Kidrobot vinyl toys, which include their range of limited edition Dunnys and DIY Munnys that you can draw on yourself! 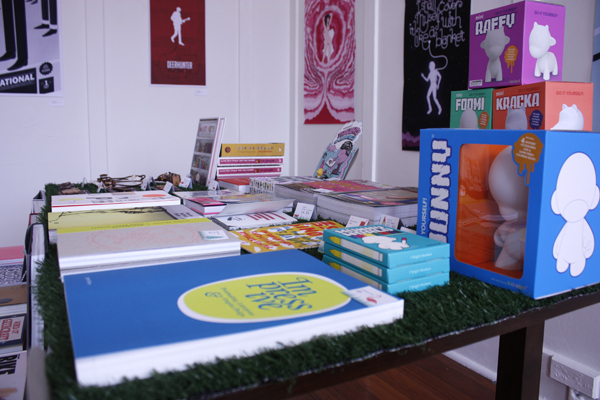 We also have a unique selection of art, craft and design books that you can’t get anywhere else in Wollongong, as well as limited edition prints on there way from Jeremyville and US artist Beth Hoeckel. What inspires you about Wollongong and which other local labels/spaces are you loving at the moment? The enthusiasm and creativity that is bubbling away at the moment is really inspiring. There’s an upsurge at the moment where people are taking the initiative to self-start some amazing projects. Some of these included in our very own arcade, Emma-Lee from Milk Thieves and Zema from Medieval Disco have been very supportive and also run really amazing unique spaces. What is the hardest part, and what do you love most about running a business? The amount of paper work! I had no idea how much time I would be spending chasing up bits and pieces, doing the book orders is a mammoth task but its also a lot of fun, drooling over amazingly beautiful design books its pretty amazing. The best part is meeting new people and chatting about design, and usually where to get the best coffee in town – its important! 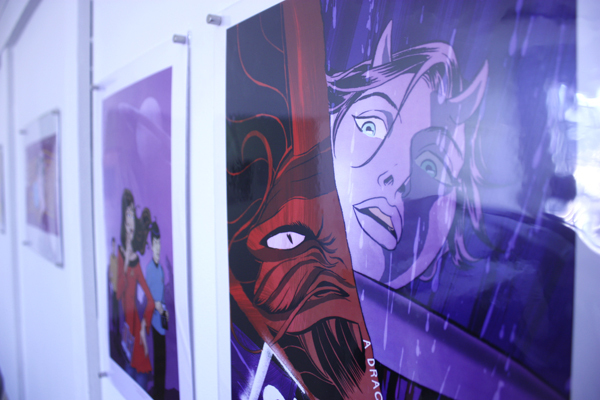 And of course fighting the urge to buy all our lovely prints for our own home! Who is the team behind Terrarium Gallery and what are their roles? 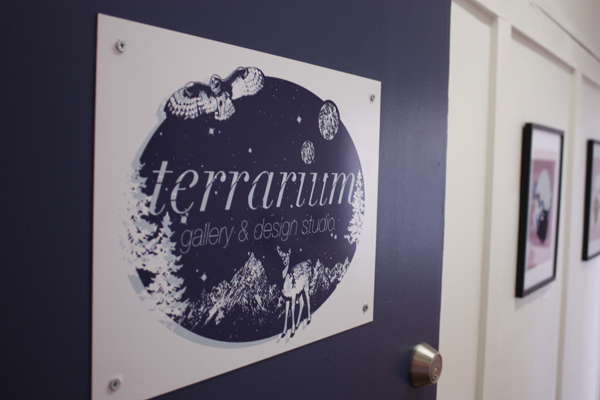 Terrarium Gallery was started by Mia Brown and Adam Woods. Adam is the business brains behind the gallery, without him the gallery would still be a dream. I work as a freelance graphic designer and illustrator which means you’ll often find me behind the desk working on various projects, but I always love an interruption – any excuse to chat to someone! We both love gallery hopping and are excited by the prospect that, with the changing face of Wollongong, soon people will be able to gallery hop in town. What new shows are coming up for Terrarium Gallery? We have a group photography exhibition up next, then we have an exhibition of rock posters by Melbourne illustrator Rhys Cooper in March. We have lots of exciting plans for this space, we’re hoping to start screen printing classes in a few months, and expand our range of books, so “watch this space” so to speak!